Making: time to take care of myself these days. Cooking: At some point, this cauliflower risotto that Kaitlin made a few weeks ago and raved about. Drinking: my tenth glass of water for the day. Trying to keep that dry winter skin hydrated from the inside out! 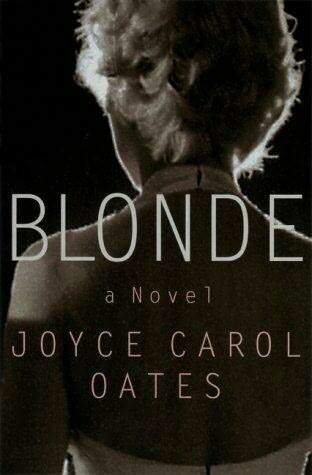 Reading: Blonde, by Joyce Carol Oates, and enjoying it so far. Wanting: my one-month shopping hiatus to end so I can see if Express still has that perfect black skirt. Looking: forward to the orchestra this evening! Playing: Trivia Crack ad nauseum against Mike (we're astonishingly intelligent and well-matched, although I tend to get the sports questions wrong...). 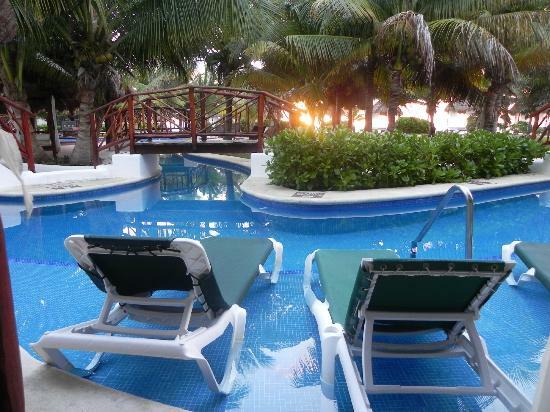 Wasting: time at work dreaming of my upcoming Mexican vacation this March with Kelsie! 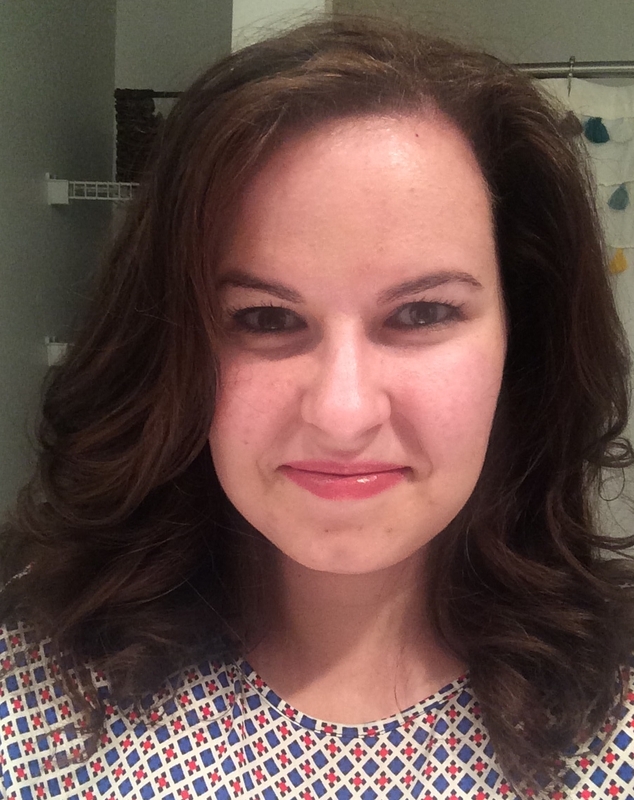 Enjoying: the good hair day I'm having today. Waiting: to decide on a locale for pre-orchestra cocktails! Liking: Jake Ballard running around on my TV screen in his underwear during "Scandal" last night! Wondering: why my neighbors' baby has decided to wail at 5:15 am for the last ten days straight. Loving: "Gilmore Girls." I'm so hooked. I want Rory to be my best friend. Hoping: that Mama, Emmy and Jonny Schwegs are having a blast in Ohio this weekend! Marveling: at how fast my least-favorite month went this year. Thanks, January, for sucking way less than usual. Needing: to hit up the Clinique counter sometime soon. Smelling: the Apple Orchard cleaning spray I just used to wipe down my center island. It's so fresh! Wearing: a KILLER pair of heels. Following: up on fraudulent card charges, ugh...but thanks for awesome customer service, Wells Fargo! 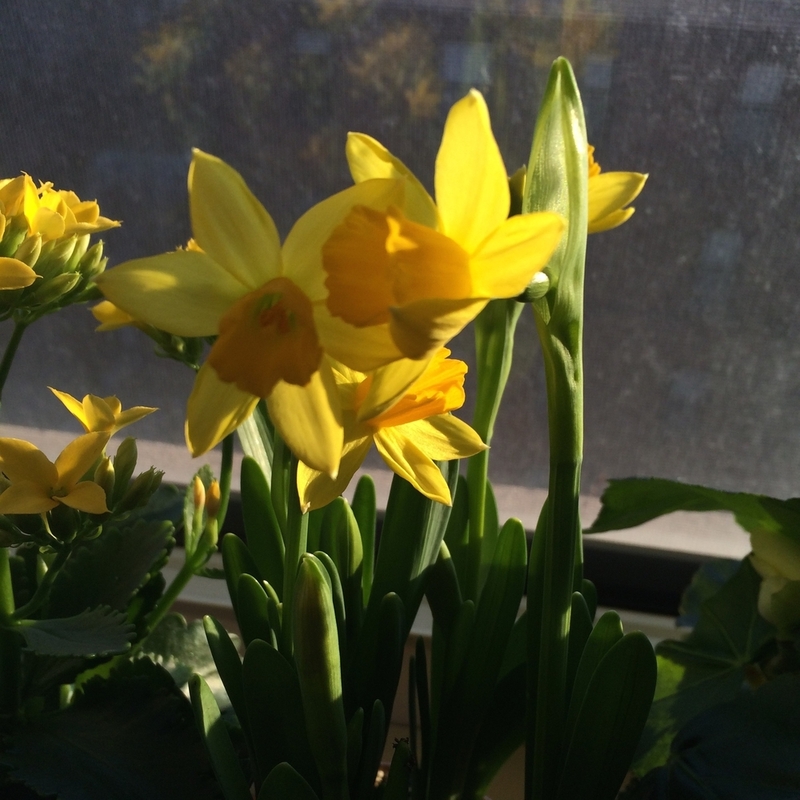 Noticing: the blooms on my daffodil shoots. So insanely happy. Knowing: that I'll need to make up the gym tomorrow after skipping today. Thinking: about our itinerary for Paris this May after reading this book. Bookmarking: recipes for Superbowl snacks in preparation for Sunday. Opening: a bottle of wine before Claire gets here! Giggling: while dancing around my apartment blasting songs from the 60s and 70s and cleaning things up and getting ready for an awesome evening. Feeling: incredibly happy, positive and excited about things coming up in my life.